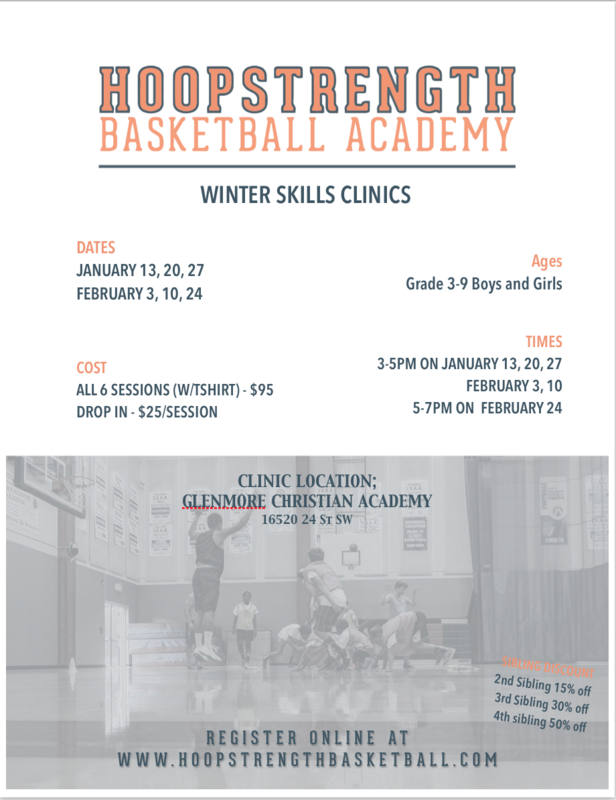 Here you can get information on our upcoming Basketball Clinics, Club Programs and Camps. When you click on Register Now you will be taken to TeamSnap to register and manage your booking. If you have any questions or challenges please don’t hesitate to Contact Us. 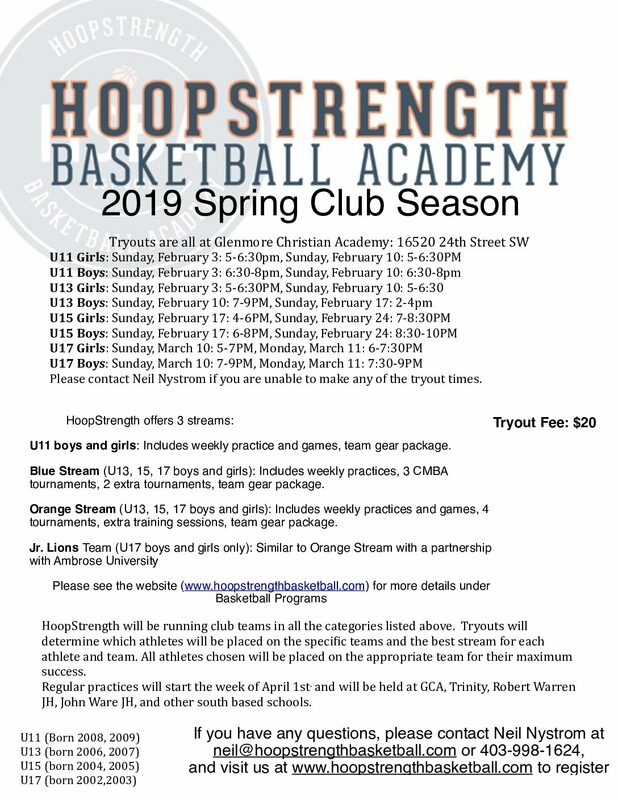 HoopStrength will be running club teams in the categories listed below. 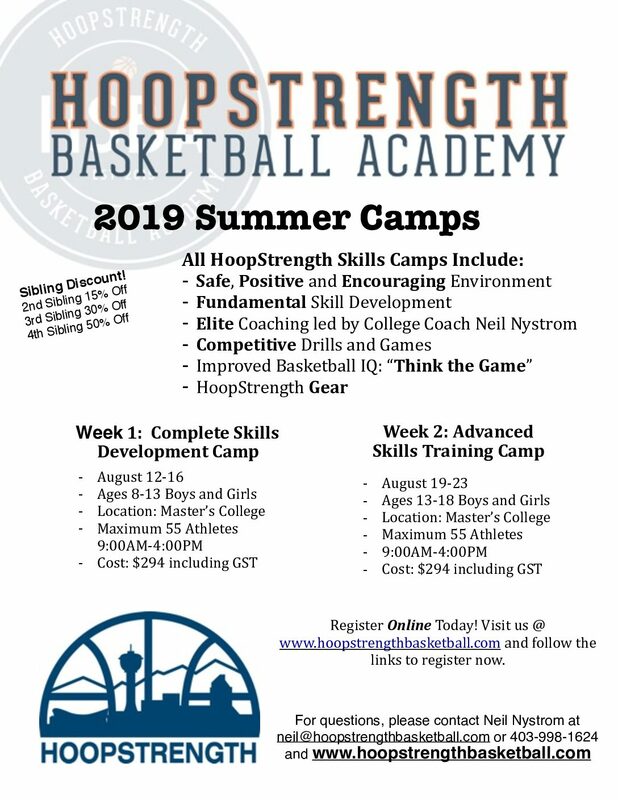 Tryouts . . . .
HoopStrength will be running 2018 summer basketball camps in Calgary. 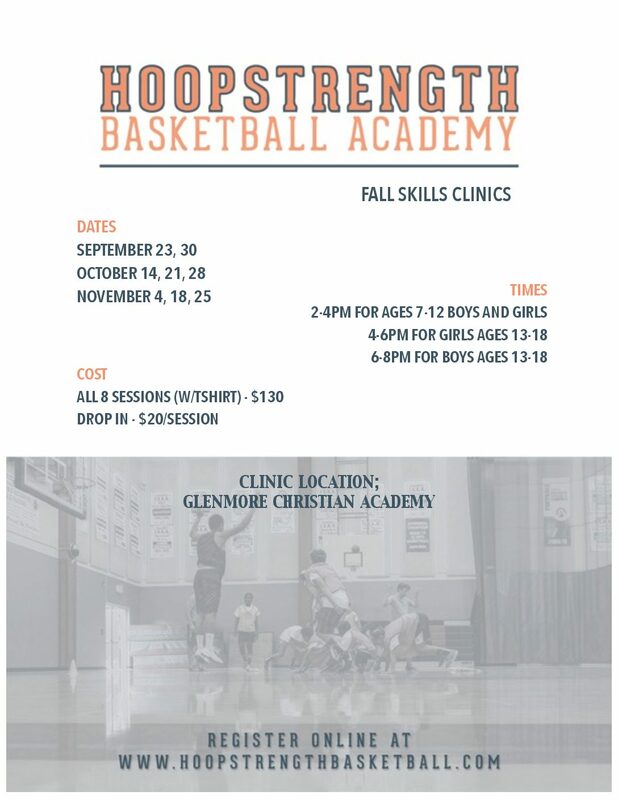 Info . . . .
HoopStrength will be running 2018 fall basketball clinics in Calgary. Info . . . .